San Francisco private investigator Wyatt Hunt never had an interest in finding his birth family - until he gets a chilling text message: "How did your mother die?” The answer is murder, and urged on by curiosity and the mysterious texter, Hunt takes on a case he never knew existed, one that has lain unsolved for decades. His family’s dark past unfurls in dead ends. Child Protective Services, who suspected but never could prove that Hunt was being neglected, is uninformed; his birth father, twice tried but never convicted of the murder, is in hiding. 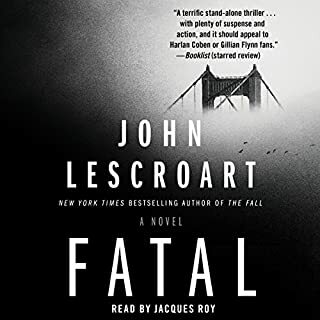 Homicide lieutenant Abe Glitsky, though hindered by the inept bungling of two politically appointed cops assigned to the investigation, quickly sets his sights on Kensing. Desperate and in need of an attorney, Kensing turns to lawyer Dismas Hardy for his defense. But as the pressure mounts to indict Kensing, Hardy goes on the offensive, believing that the murder had little to do with his client, and everything to do with business. Hardy knows that all is not well with the HMO, and makes a terrifying discovery: too many patients have been dying, many of them victims of murder - and it looks like it is the hospital that is killing them. His own marriage tested and his family strained as he struggles to save his client, Hardy must uncover a twisting conspiracy of avarice and violence that takes the lives it is sworn to save. A timely and gripping novel that puts lives - and a long-standing friendship - at grave risk. As is my habit, when an author I like comes out with a new title, I go back and start from the beginning and listen to ALL of his books before listenting to the new book. As i went through the Dismas Hardy books this time, I wondered why I didn't have The Oath, The First Law or The Hearing in my library. I purchased and downloaded all 3 WITHOUT rereading the reviews. Then I found out why I had NOT purchased them previously. This is one of the all-time worse narrators every to record a book. It's even more horrible because a couple of these are key book in the series. He actually does a lisping detective (REALLY?!!) What purpose does that serve. Hardy's voice read by Lawrence is nasal and whiny. I can't begin to express how difficult it was to listen to these. BEWARE! What was one of the most memorable moments of The Oath? Oath starts out a little slow but often this is necessary, to set the various scenes. Which character – as performed by Robert Lawrence – was your favorite? I thought the Hospital CEO , who was corrupt , was fascinating. Since when does Moses McGuire have a (bad) Irish brogue? I was a bit annoyed with the narration of this book. Lawrence also narrated The Hearing, which sounded terrible. This was a little better, but sheesh, the accents! Stop it! Especially when it makes no sense for the character! As for the book itself, it was well-written, as always. 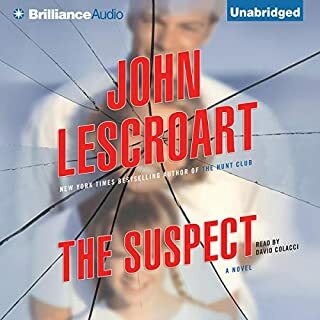 I like Lescroart's mysteries. The beginning of this book dragged with many characters that I found difficult to remember. That difficulty stemmed from narration that I would consider to be not the best. Differentiation was created more by accents that I was not sure were true (southern, english, etc.) and the female voices were awful. However, the story is a good one and worth the listen. I look forward to other books by this author, but not by this narrator. The plot is decent, the details are adequate, and the characters are nicely developed. 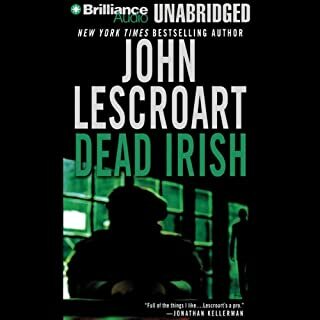 I think this book is a fairly typical Lescroart, and is money well spent. The Oath could be considered a medical thriller, but the hospital is only the start of the action. 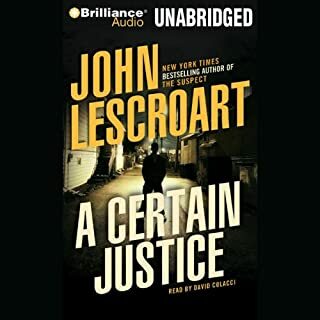 This particular book is also short on courtroom drama, so if you really want some Perry Mason stuff this one is not going to please you. There are a few philosophical passages, but they are actually quite nice and not too long. The Abe Glitsky twist towards the end was unnecessary. 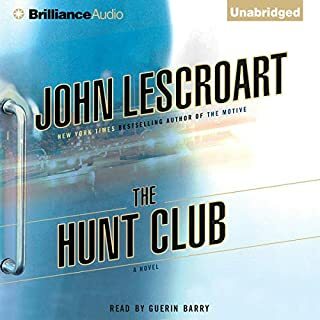 Robert Lawrence has a somewhat sing-song style of narration, but, once I got used to the style I thought he was quite good. 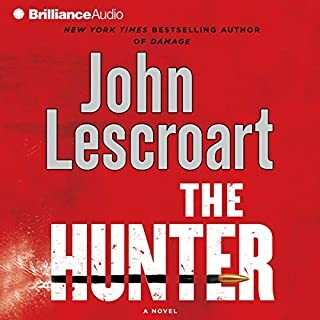 Despite all the adverse reviews about him, I will gladly pick up another book read by Lawrence. smart, fast paced, still very timely! explores many of the issues in the current healthcare debate in the context of a real "page turner" of an audio book. The reader did a great job w/the different characters... you could always tell which character was speaking by the voice, and there were plenty of them! as a heath care worker intimately familiar w/these issues, and an avid mystery buff, i really, really enjoyed this book! Yes I would, it is a good story. Dismas and Glitsky I also really like Frannie. What three words best describe Robert Lawrence’s voice? I was not crazy about his narration, I liked the previous narrator much better. This book was good, however, in this book we are led to believe that Glitzky was killed but in the next book Glitzky is alive, kinda different. 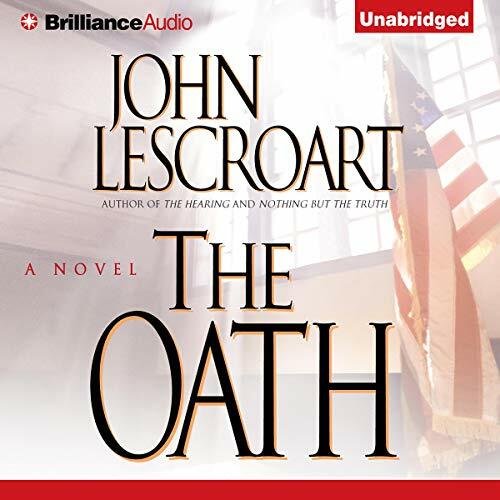 Would you consider the audio edition of The Oath to be better than the print version? Have you listened to any of Robert Lawrence’s other performances before? How does this one compare? Not sure but I liked him. Yes but in half the time. It had a decent idea, characters are good but just went on-and-on without any accretive contributions. Would have been twice as pleased if it had been half as long. Would you be willing to try another one of Robert Lawrence’s performances?